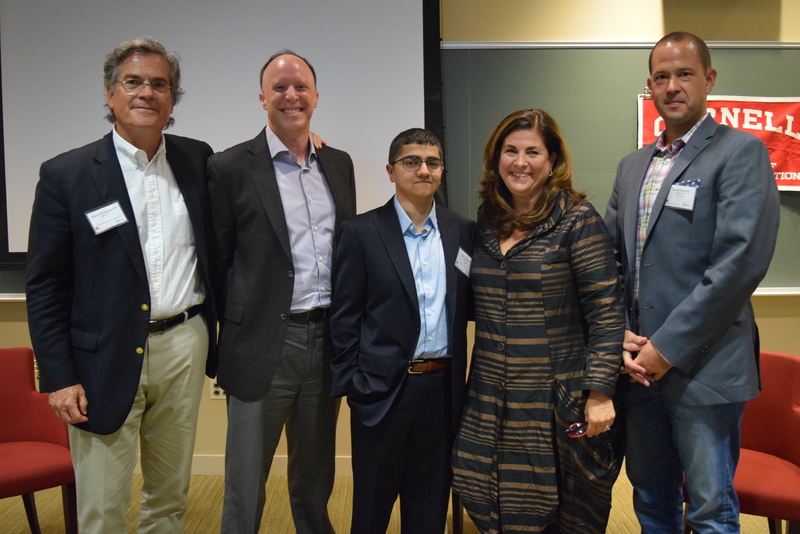 Cornell Hotel Society’s New England Chapter partnered with Boston University’s School of Hospitality Administration to present the eighth annual Boston Lodging Pulse on Wednesday, October 10, 2018. Designed to provide forward-looking insight on the latest national and local market industry forecasts and create an interactive discussion amongst professionals in the hospitality industry, the event has drawn a growing crowd year after year. 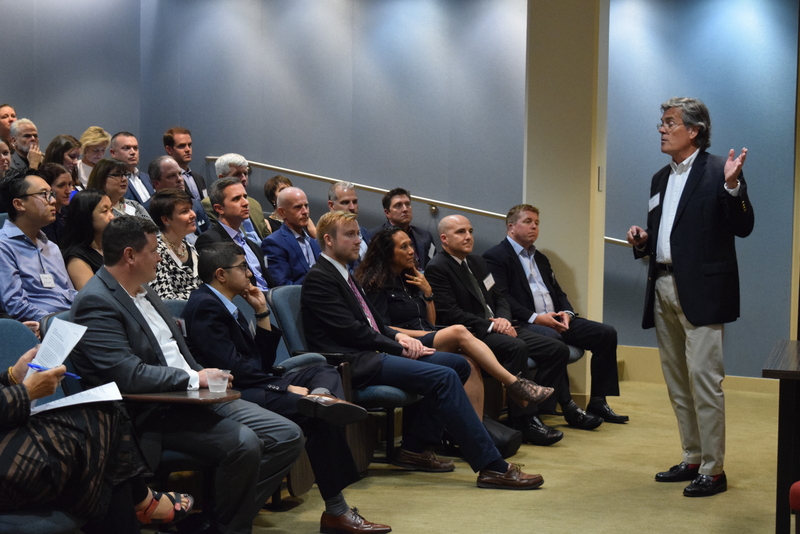 Mark Woodworth MPS ‘78, Senior Managing Director, Head of Lodging Research at CBRE Hotels provided the “pulse” portion of the program featuring an outlook on the national and the Boston lodging market, exploring trends in both revenues and expenses. David Attardi, Senior Vice President of Business Development at Kalibri Labs presented an in-depth analysis of the data collected by Kalibri Labs and the story it tells about distribution channels and the trends and costs associated with each. Moderated by Lesley Silberstein ’78 of Silberstein & Associates, this year’s panel discussion focused on the ever-changing landscape of distribution channels and a conversation focusing on a hotel’s ‘optimal mix.’ The panel featured David Attardi, Roy Madhok, Regional Director of Revenue for Highgate, and Jake Stein, Expedia’s Senior Director of Global Partner Group. As a result of the event’s record attendance and Group One Partners, the event’s Title Sponsor, the 2018 Lodging Pulse raised over $3,000 for both the local chapter’s SHA scholarship fund and Boston University’s School of Hotel Administration.